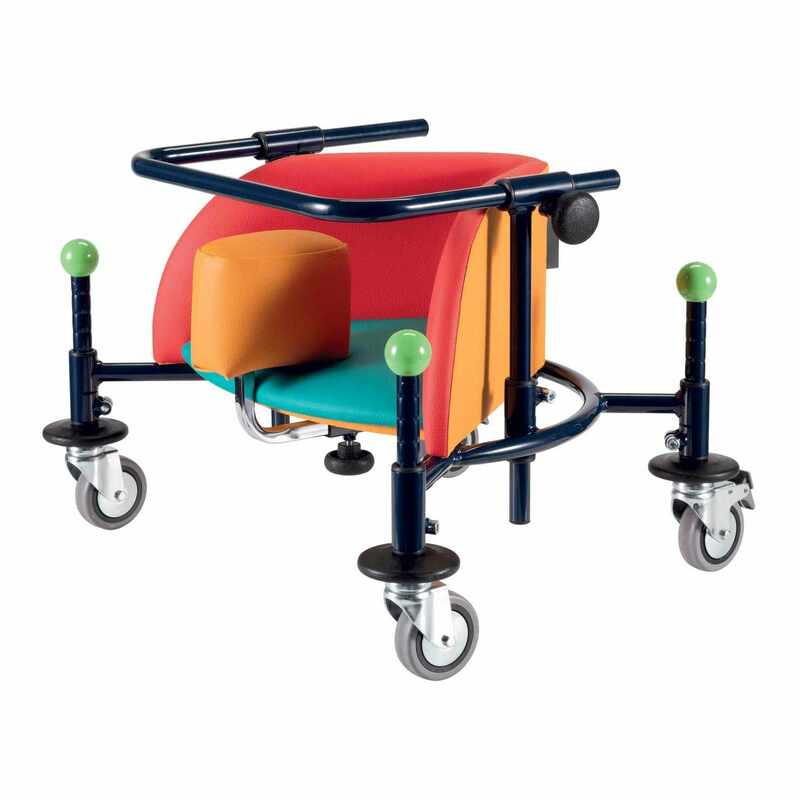 Ormesa birillo pre-gait trainer is a beginning gait trainer/walker for children with special needs approximately between 2 to 8 years. 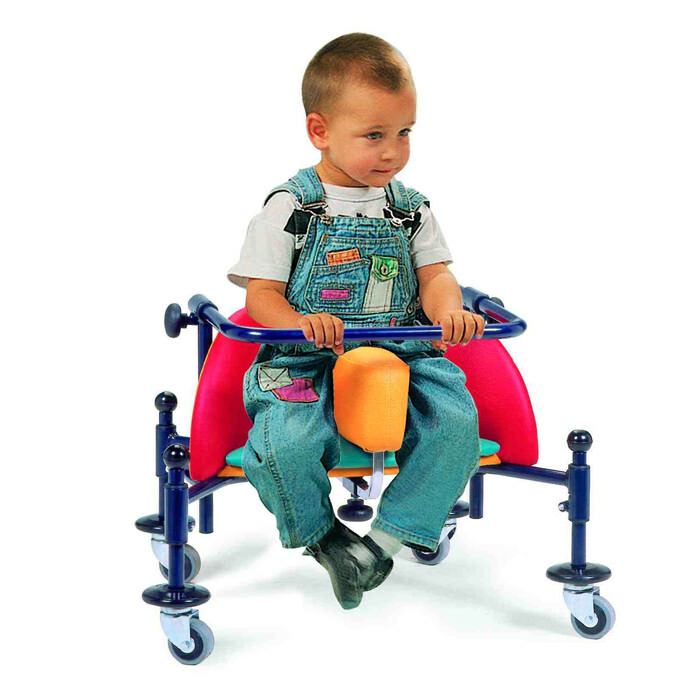 Birillo pre-gait trainer allows a child to practice reciprocal leg movement patterns in a seated position and is a good precursor to walking. 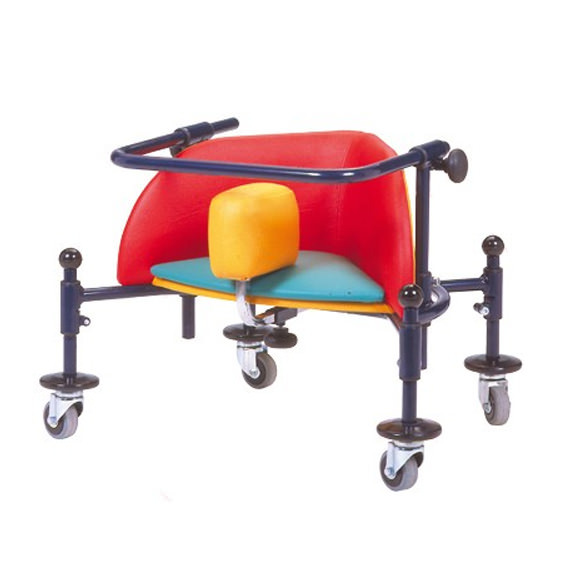 Ormesa Birillo offers triangular sitting position that prevents the extreme hip and trunk extension and lets the child to have his head and trunk well lined up and also helps the child having a right posture and his moving impulse. 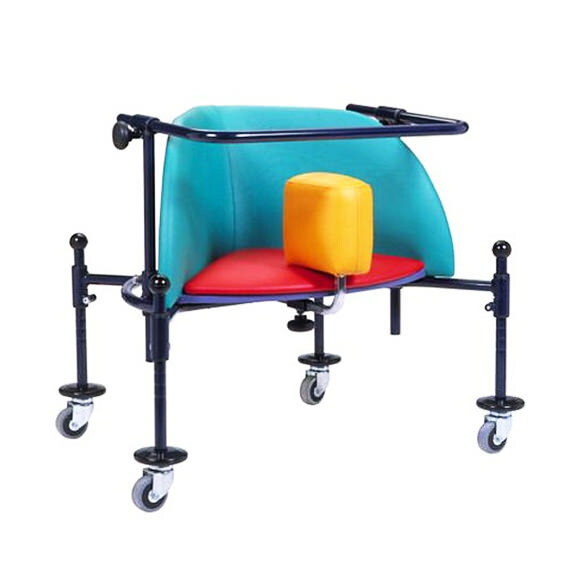 Birillo is specifically designed to help a child with special needs ability to move freely and safely around the home, school, daycare, and therapy environments. Handle bar: Adjustable in both height and depth. Abduction block: Adjustable to contain the pelvis. 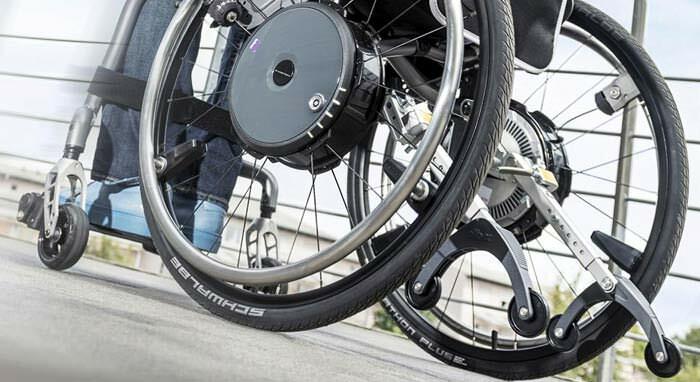 Wheels: 3.2" fully-swiveling, rolling on ball-bearings, 2 with brakes. Frame: Adjustable in height, made of steel and painted with non-toxic epoxy paint (blue color). 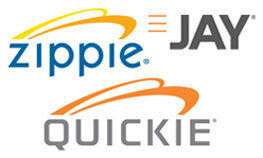 Bumpers: Elastic bumpers to protect the wall and protective balls on the upper ends of the rods. Seat: Padded and wrap-around, upholstered with strong, washable plastic and triangular in shape to hold the pelvis (seat/back at a 90° angle). Maximum weight capacity 66 lbs. 88 lbs. 110 lbs. 132 lbs. Unit weight 19 lbs. 22 lbs. 24 lbs. 28 lbs. Turning width 26" 29" 32" 35"
A: Backrest height 7" 7.5" 8" 11"
B: Total width 23" 25.5" 29" 31"
C: Back wheel to front wheel 19.5" 20" 23" 23.5"
D: Floor to seat 7.5" - 10.5" 8.5" - 12" 8.5 - 13" 8.5" - 16"
E: Total height 14" - 19.5" 16" - 22" 16.5" - 24" 19.5" - 30"
F: Seat bottom depth 7" 8" 9" 12"
G: Seat bottom width 8.5" 10" 12" 15"